We currently have two stores, in Manchester and Bennington, to serve the needs of our customers in Vermont, Massachusetts, and New York. Both stores offer a full range of hearth products and services, including the sale and installation of wood, gas, pellet, and electric stoves and fireplaces. Just like any other professional fireplace store! What sets us apart, however, is that we don't like junk! We don't believe in second rate products that offer a lower cost, but don't disclose what you sacrifice in exchange! Nor do we install your new appliance, then run away when you need service. Our stoves and fireplaces are top end, from quality manufacturers that offer excellent warranties and stand behind the appliances they make! Our staff is professionally trained, and has years of experience maintaining and servicing what we sell! Think about it. We are putting fire into your home! You comfortable with that? Better not be, unless you are assured by the business you are working with that your installation will be performed by experienced personnel, meet all local and national fire codes, conform to home insurance requirements, and follow the manufacturer's installation instructions to the letter! 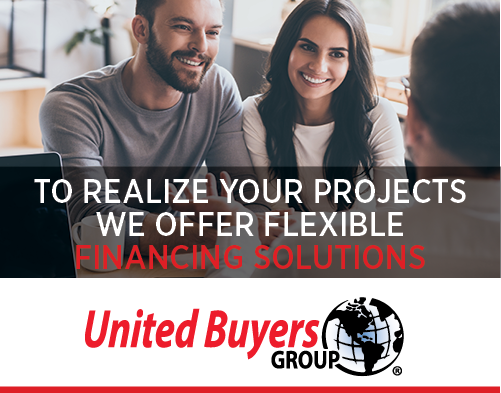 The same holds true for the other products and services we represent, which include window treatments from Hunter Douglas, swimming pool and spa products and services, and retractable patio and deck awnings. All top quality, all a good value, installed by people who care! We like to sleep at night. We don't like dissatisfied customers. Therefore, we do things the right way, by selling you products we trust, and installing them so you don't have to question your safety when they are in use! Check us out. We will try to live up to YOUR standards. It is YOUR home, after all. We grew up in the 1960's and 1970's. Back then, we all had the answers to the world's problems. Peace and love, man! We decided to leave the big city, move to the country, live off the land, and all that. Being active in the 'No Nukes' movement at the time, we felt it appropriate to try to find work promoting the fledgling solar energy industry. So off to Vermont we went! Friends of the Sun was already in existence! They had beaten us to it. A solar energy retailer, they also sold the latest and greatest wood burning stoves, which were all the rage as heating oil prices were skyrocketing. So after working with them for five years, we opened a franchise. We expanded into pellet stoves, and soon thereafter the new gas stoves and fireplaces. From early on, Friends of the Sun also sold other energy efficient products in keeping with our philosophy of keeping your home warm and comfortable, and doing so in an environmentally respectful way. We sold insulating window shades to help keep the heat in, and exterior awnings to keep the summer heat out. Thirty years later, we have saved our customers millions in energy costs! We have also hopefully done our small part to reduce the impacts of climate change. And we are still dedicated to high quality, low energy products for your home that you will enjoy living with! We have a 3,000 square foot 'living showroom' in Manchester, and another 1500 sq ft in Bennington. Both locations offer many burning displays of wood, gas, and pellet stoves and fireplaces; working displays of over thirty varieties of window shades, blinds, and shutters; motorized patio awnings; and operational solar electric, hot water, and hot air systems. We even heat the Manchester store with an outside wood pellet boiler! Our service techs attend product trainings by our manufacturers, and also study to become certified by the National Fireplace Institute and test to state of Vermont gas regulations. We also perform fireplace Glass Door installs, window shades, blinds, and shutters installations, awning installation, and pool cleaning, maintenance, and service. Wood, gas, and pellet stoves and fireplace inserts. A complete selection of 'fireplace furnishings', including fireplace glass doors, screens, tool sets, log holders, grates, and much more. The complete collection of window treatments by Hunter Douglas, the industry leader, including honeycomb insulating shades, roman shades, wood blinds, sun and screen shades, interior shutters, vertical blinds, woven woods, miniblinds, and many new styles every year! Retractable awnings for patios, decks, windows, and doors. Residential and Commercial awning systems. Pool and spa chemicals and accessories.